The primary role of the Denominació d’Origen Qualificada (DOQ – Qualified Denomination of Origen) Priorat is to certify where grapes are coming from, thus ensuring that wine bearing its label is a quality product, according to Toni Alcover Jofre, the recently appointed President of the DOQ Priorat. 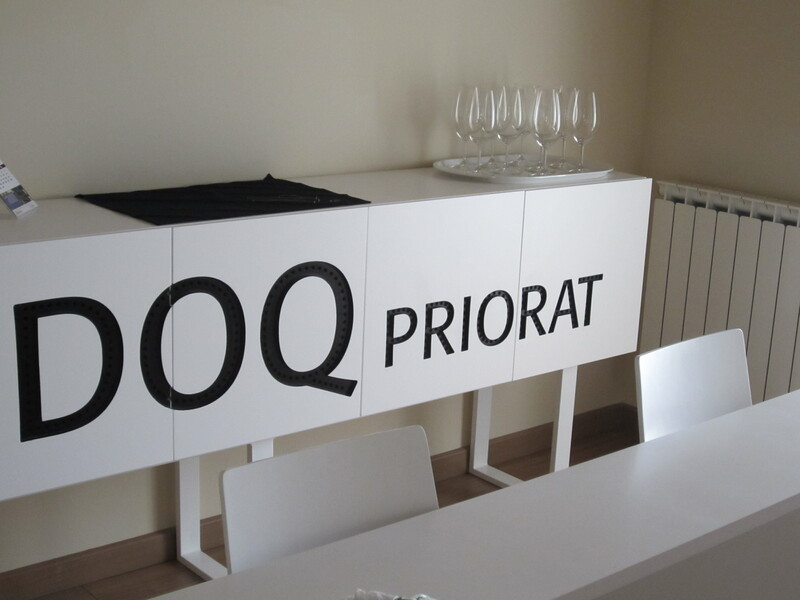 In 1954, Priorat became the second DO to be established in Spain (after Rioja), and the “Q” was added when the Catalan government approved the application for the distinction of Priorat as a “qualified wine region” in 2000 (a distinction that this region shares only with Rioja). The process of certification is intensive, with each of the 93 registered wineries subjected to vineyard and winery inspections at key points of the year (ie harvest and winter pruning), a full laboratory workup of the finished wines (including sugar levels, pH, volatile acid, sulfur dioxide and sulfate content, and possibly other tests such as tannin content), and a blind tasting by a panel of tasters. The tasters include someone from the Wine and Vine Institute (a branch of the Agricultural department of the Catalonian government – INCAVI, someone from the oenology institute in Tarragona, Mr. Alcover (who has long been a teacher at Falset’s oenology school), and two winemakers from the region (though it is set up so that they are never tasting their own wines). To dequalify a wine, three of the five members must agree (though according to Mr. Alcover, such a decision tends to be unanimous). Mr. Alcover replaced the former President, Sallustià Álvarez, who had held the position for 18 years. Though he is still getting to know the ins and outs of the job, he expects that streamlining the qualification process, preparing for the EU checks that are coming up (to ensure that each of the DOs across Europe is following its own guidelines), and promoting the region within Spain will be the top priorities during the first years of his Presidency. Though it might seem strange that they should be focusing on internal promotion, Toni explained that the Spanish market is not developed enough to recognize the quality of wine produced here. Further, most Spanish people immediately think of Rioja when they think of wine, so he hopes to promote Priorat wines in order to demonstrate the diversity of wine production in Spain. This entry was posted in Spain and tagged wine appellations by Alissa. Bookmark the permalink. The fact that Spaniards don’t know/get all caught up in the quality of their own wine is intruguing to me (being local food girl and all). Did he give any guesses as to why that is? I didn’t ask him a lot of details about this particular point, but from what I’ve learned I can give you my interpretation. I think it is not so much that they don’t have an appreciation for their own wine as that their appreciation is focused primarily on Rioja (I guess not really all that different than most American’s associating our wine industry with Napa). The Priorat hasn’t been making high quality, bottled wine for all that long, and has really only taken off in the past 20-30 years, so that I’m sure is also a big part of it. It could also be a bit of an issue of regionality, as I think that Priorat is probably much more well known in Catalonia, but perhaps the other autonomous regions of Spain are less aware of what’s going on here, because they do definitely all have their own cultures, ideas, etc.